This theory is a very bad option. Heavy forces must work on tracks. With the French deployment in the Baltic area, mobility problems became obvious. A 8x8 can’t follow a Leclerc MBT. Any sources/pics for this? Was this VBCI? VBCI is the only 8x8 armored chassis in service with the French Army. 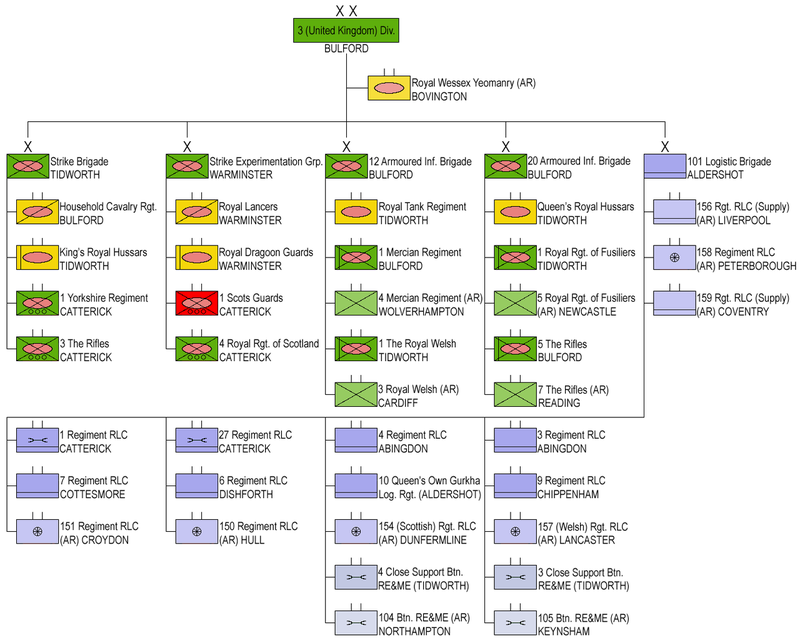 The limitations of 8x8s, issusess that come from mixing tracks and wheels are well known about and discussed within the Army. However Gen. Carter, former Chief of the General Staff and current Chief of the Defence Staff is obsessed with acquiring an 8x8. Believing it necessary for any expeditionary force and inspired by the French intervention in Mali (despite most of the vehicles being VABs). He is the architect of the much maligned "Army 2020", a scheme so bad that practically everything has either been changed, cancelled or reversed multiple times. Recently, the acknowledgement of Russia rearming and politicising of military cuts has resulted in the cancelling of any further cuts and a pledge for more funding from the Government. However the UK Gov. is an even bigger disaster so no one really knows what's going on. 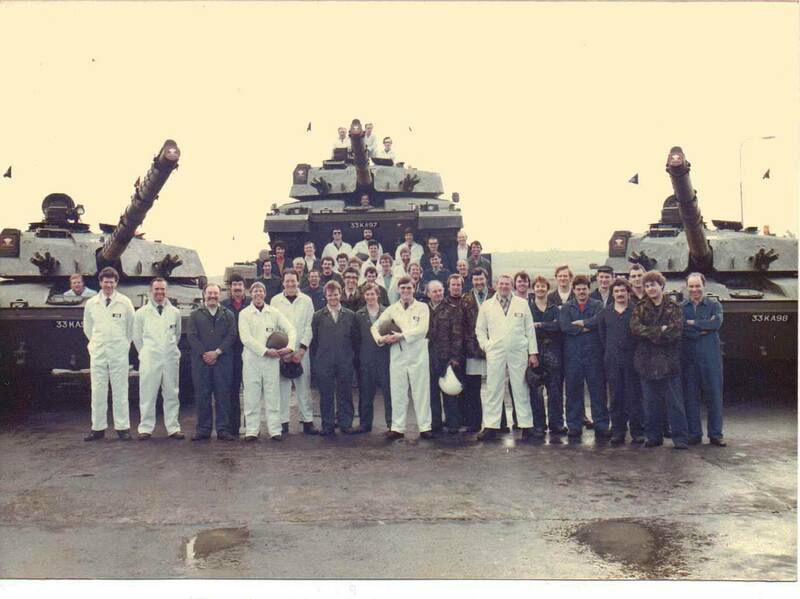 Armoured Fighting Vehicles on site when they bought RO Leeds. Largest single span factory in Europe when it opened. Built and commissioned in less than a year and not a days work lost during the move from the old buildings to the new." LocationBlighty. Sadly, no longer in Yorkshire. Leeds, my home town. Used to have a friend who worked on the production line there. Did he have any good stories? Sorry, no. He was a "metal basher" on the Chieftain production line. (I am old....). DVD will be interesting. Expecting announcements on the Warrior upgrade, CR2 upgrade, and more progress on AJAX. 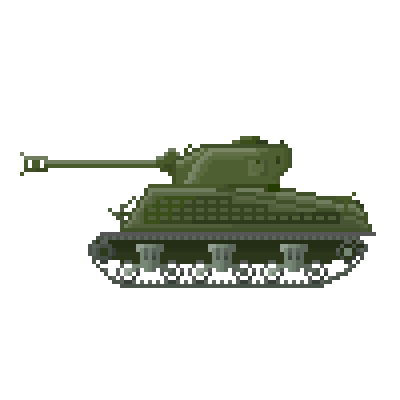 Challenger 2 Mark 2? Seriously? UK naming conventions are the worst. So a new commander sight, Iron fist APS, some more camera for improved awareness. The gunner sight seem to be the same so I guess that the TOGS is still above the gun. Not an upgrade intended for high intensity conflict but which will improve the survivability of the tank for low intensity conflict until the MoD decide to buy a new tank I guess? Though they don't show how it looks there, only that they have a new thermal sight. BAE Systems has revealed its final design proposal for the British Army’s Challenger 2 Life Extension Programme (LEP), which will refresh much of the vehicle’s sub-systems and ensure it can operate into the 2030s. The company is showcasing its Challenger 2 Mark 2 demonstrator vehicle - known as Black Night - at this year’s DVD 2018 exhibition in Millbrook held from 19-20 September, and is highlighting its capabilities ahead of a planned selection for the LEP contract that is expected to be made later this year. Simon Jackson, campaign lead for BAE Systems’ LEP bid, told Shephard that the distinctive name and paint scheme for the vehicle was to emphasise that the upgrades now gave the Challenger 2 hunter-killer capabilities during both day and night operations as well as ‘significant additional capability’ that the company has integrated. ‘The key elements of the programme is removing obsolescence to extend the life of Challenger 2 to 2035, but we’ve taken the opportunity to significantly increase the capability across a number of major subsystems,’ said Jackson. 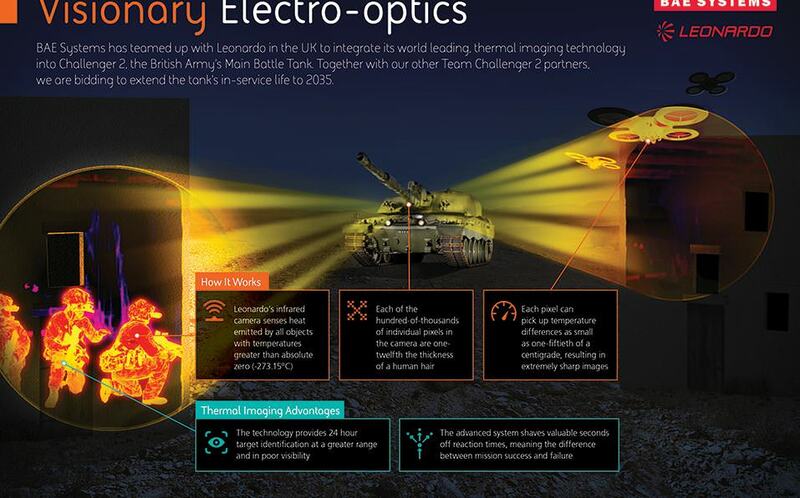 BAE Systems is working with several companies under a partnership known as Team Challenger 2, which includes General Dynamics Land Systems-UK (GDLS-UK), General Dynamics Mission Systems-Canada, Leonardo UK, Moog, Safran and Qinetiq. 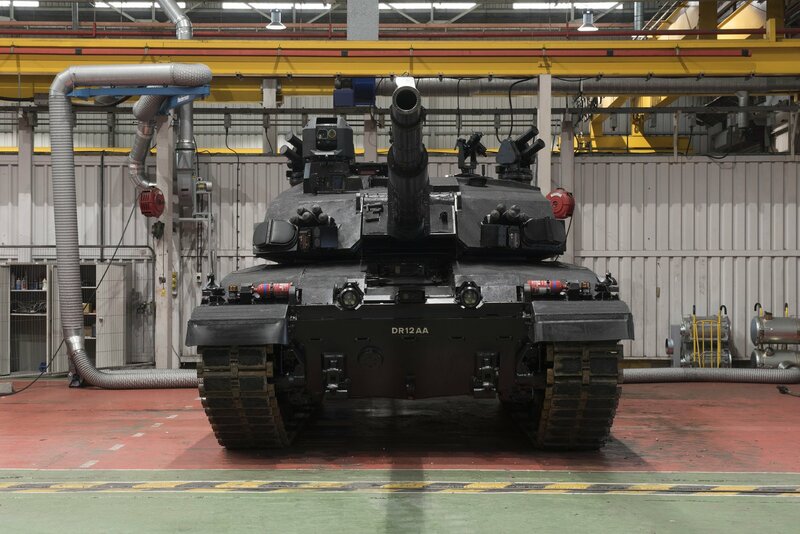 To build the demonstrator vehicle has taken just six months and has included people that were involved in the original manufacture of the Challenger 2. Capability enhancements on the Black Night include a new Paseo commander’s panoramic sighting system from Safran. This stabilised sight - the same system used on the French Army’s new Jaguar 6x6 - offers long-range day and thermal imagery. A new gunners sight utilising the Thermal Imaging Sensor Head from Leonardo UK is installed, replacing the legacy TI Common Module. Leonardo UK will also supply its DNVS-4 driver night vision system, which will give the driver significantly enhanced situational awareness at night and improve overall safety for the crew. The DNVS system is already in widespread use across the British Army’s vehicle fleet. A new Fire Control System from General Dynamics Mission Systems-Canada has been installed, with Jackson explaining to Shephard that BAE Systems had been able to retain the original ballistics data for the Challenger 2’s ammunition and therefore reduce risk on the programme. The commander’s crew station has been completely revamped, with two multi-function displays (MFD) where data from across the platform’s sensors can be accessed through a battle management system. The gunner will benefit from a new control panel as well as control handles, although the gunner will continue to utilise a ‘head-in’ sighting display and not a MFD. Platform protection is being enhanced through the use of a distributed laser-warning system, provided by Israeli company Elbit Systems. This is the same system utilised on the new Ajax armoured vehicle also being procured by the British Army. The demonstrator vehicle at DVD features the IMI Systems’ Iron Fist active protection system (APS). Jackson confirmed that this was a ‘costed option’ and outside of current requirements, but that BAE Systems could integrate any APS that the UK Ministry of Defence (MoD) desired at a later stage. Electronic gun control equipment is being supplied by Moog, allowing the turret to be slewed quicker and giving greater accuracy when laying the gun and moving the turret. This equipment also incorporates regenerative braking, capturing energy to charge the batteries when the gun slows down to position. Overall platform electrical power output from the current auxiliary power unit is also being increased. Challenger 2 Mark 2 will also utilise the same electronic architecture as the Ajax, which is being supplied by GDLS-UK and optimised for the MBT. Jackson noted that many of the sub-systems have been selected because they are mature solutions as well as to optimise commonality across the vehicle fleet, especially with vehicles such as Ajax. ‘We are therefore able to minimise risk to the UK MoD and have a shorter programme and get an earlier in-service date,’ he said. The BAE Systems offering does not include a new smoothbore gun, choosing instead to retain the current rifled 120mm gun. At this time there is no requirement to change the gun as part of LEP, although BAE Systems does have experience integrating a smoothbore gun on Challenger 2 as part of previous trials in 2006 (that vehicle still exists today in Ashford). BAE Systems has now completed its own preliminary design review, with documentation submitted to the UK MoD for formal review as part of the assessment phase contract. The company is up against German armoured vehicle specialist Rheinmetall for the upcoming demonstration phase contract when one supplier will be selected. An Invitation to Tender for the LEP demonstration phase is expected shortly, with that likely to last around two years and then a follow-on manufacturing phase lasting three years. If successful, the initial-rate production - believed to be around 18 tanks - will be carried out at BAE Systems’ site in Telford. 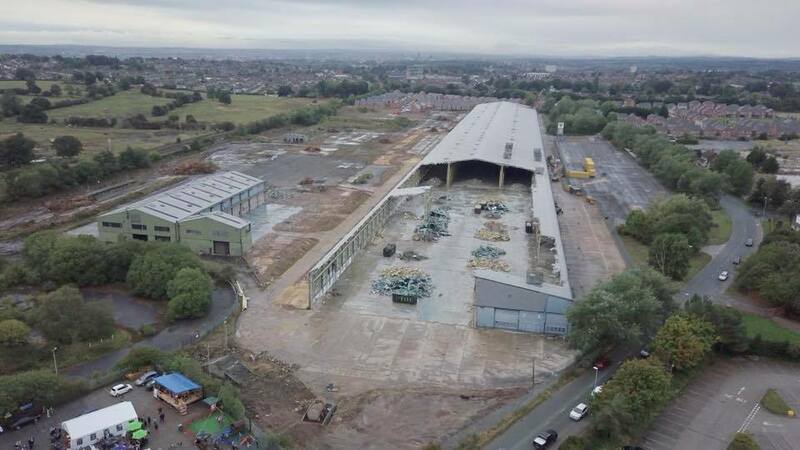 The rest of the fleet will then be converted at GDLS-UK’s site in Merthyr Tydfil, where the Ajax fleet of vehicles is currently being assembled. Jackson told Shephard that there was a ‘huge amount of synergy’ between the two programmes, and running off one production line had significant cost benefits to the UK MoD. He added that the demonstrator vehicle has been used for several developmental purposes including: to inform the design of the platform; develop the human-machine interfaces such as where the displays and hand controllers are installed; and inform the manufacturing plan. ‘That’s been immensely beneficial and that’s why we are displaying it at DVD,’ said Jackson. Another Challenger 2 vehicle has also been used by BAE Systems, specifically for integrating the new gun control equipment to de-risk that part of the upgrade. Despite LEP being limited to addressing obsolescence in the turret systems, BAE Systems is currently under a separate contract with the MoD under the Heavy Armour Automotive Improvement Programme (HAAIP) to look at potential automotive upgrades to the engine and transmission. We are talking about this picture right? My guess is that those thermal camera are the ones fixed on front of the turret, below the smoke launchers. That the commander sight have it's own thermal camera is probably a given, but fixed thermal camera around the hull would help a lot at early detection of sneaky infantry close by. Tis the picture, but that is not the case. I also want to make a correction, they're talking about these sights being added to both the gunner's and commander's sights. But what you see below the smoke grenade launchers is Elbit's laser warning system, as told in Shephard's article which I linked above. And what capabilities exactly does the rendering show that BAE hasn't shown? If we remove the APS for a moment, we can see on both that they have new and modernized dual channel sights, both keep the TOGS' box, both add some form of warning system (if that is what the box w/dome near the gunner's sight on Rheinmetall's rendering is), whilst retaining the same gun. Rheinmetall offers a new gun, but that is also not required, just like the APS. Thus the only real difference is that Rheinmetall used the TES armor in its rendering, while BAE's model is stripped of all applique armor. The 120 mm smoothbore gun and a 360° surveillance system in from of two SAS modules mounted on the turret. The upper part is the laser warning receiver, which is mounted ontop of a sitational awareness system. Okay I assume the 2nd module is just located on the rear-left part of the turret, as it typical for some APS systems as well, for full coverage through minimal sensors. But we don't know if that is required either. Both are offering very good capabilities that are not required, and that doesn't mean the UK MoD will dismiss them (although their intellectual capacity at making smart procurement decisions is known to be lacking), so you cannot just dismiss them either like you dismissed the addition of an APS. The gun has a very low chance of being replaced IMO, and if it would go ahead at a later point, it would probably be part of a separate project because a gun's replacement actually requires the two competitors - BAE and Rheinmetall, to cooperate. Similarly, the UK MoD is seeking an upgrade to the automotive components through a separate project as well. David Brown offered a 1500hp upgrade of the power pack in the early 2000's. The CV-12 engine was used in generators rated at 1500hp. The cooling would probably need to be overhauled. Well, if you include TUSK as armor kit for the Abrams, then you also have to include the different Theatre Entry Standards (TES) armor kits (three versions at least) of the Challenger 2. The base armor however was most likely not upgraded. The Leclerc is not geometrically more efficient. It could have been, if it's armor layout wasn't designed so badly. The Leclerc trades a smaller frontal profile for a larger number of weakspots. It uses a bulge-type turret (no idea about the proper English term), because otherwise a low-profile turret would mean reduced gun depression (breech block hits the roof when firing). There is bulge/box on the Leclerc turret roof, which is about one feet tall and located in the centerline of the turret. It is connected to the interior of the tank, as it serves as space for the breech block to travel when the gun is depressed. With this bulge the diffence between the Leopard 2's and Leclerc's roof height is about 20 milimetres. The problem with this bulge is, that it is essentially un-armored (maybe 40-50 mm steel armor); otherwise the Leclerc wouldn't save any weight. While the bulge is hidden from direct head-on attacks, it is exposed when the tank is attacked from an angle. Given that modern APFSDS usually do not riccochet at impact angles larger than 10-15° and most RPGs are able to fuze at such an angle, the Leclerc has a very weakly armored section that can be hit from half to two-thirds of the frontal arc and will always be penetrated. The next issue is the result of the gunner's sight layout. While it is somewhat reminiscent of the Leopard 2's original gunner's sight placement for some people, it is actually designed differently. The Leopard 2's original sight layout has armor in front and behind the gunner's sight, the sight also doesn't extend to the bottom of the turret. On the Leclerc things are very different, the sight is placed in front of the armor and this reduces overall thickness. This problem has been reduced by installing another armor block in front of the guner's sight, but it doesn't cover the entire crew. The biggest issue of the Leclerc is however the gun shield. It's tiny, only 30 mm thick! Compared to that the Leopard 2 had a 420 mm gun shield already in 1979. The French engineers went with having pretty much the largest gun mantlet of all contemporary tanks, but decided to add the thinnest gun shield for protection. They decided to instead go for a thicker armor (steel) block at the gun trunnions. Still the protection of the gun mantlet seems to be sub-par compared to the Leopard 2 (420 mm armor block + 200-250 mm steel for the gun trunion mount on the original tank) and even upgraded Leopard 2 tanks. The Abrams has a comparable weak protected gun mantlet, but it has a much smaller surface. The Challenger 2 seems to have thicker armor at the gun, comparable to the Leopard 2. Challenger 2: a few weakspots, but no armor upgrades to the main armor Leclerc: a lot of weakspots, but lower weight and a smaller profile when approached directly from the turret front M1 Abrams: upgraded armor with less weakspots, but less efficient design (large turret profile and armor covers whole turret sides) So if you look for a tank that is well protected, has upgraded armor and uses the armor efficiently, the current Leopard 2 should be called best protected tank.